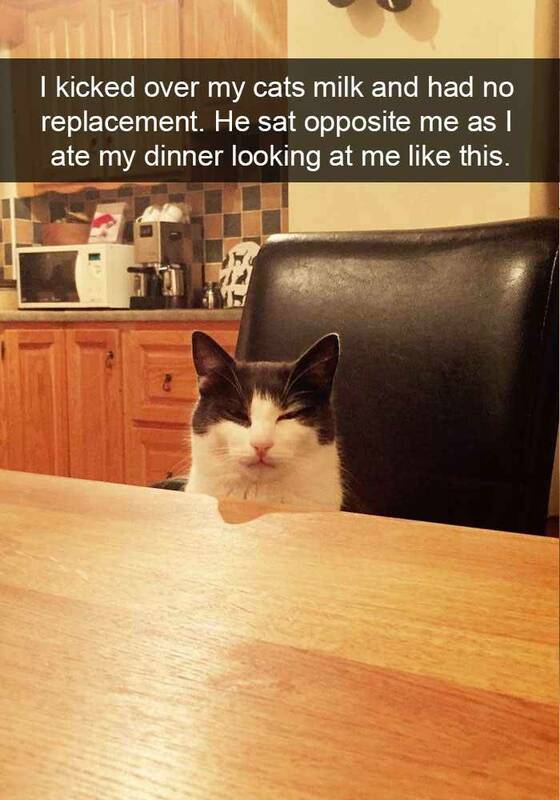 If you've ever had a cat then you know something everyone who's ever had a cat also knows: cats are funny. I mean, they are seriously so funny. 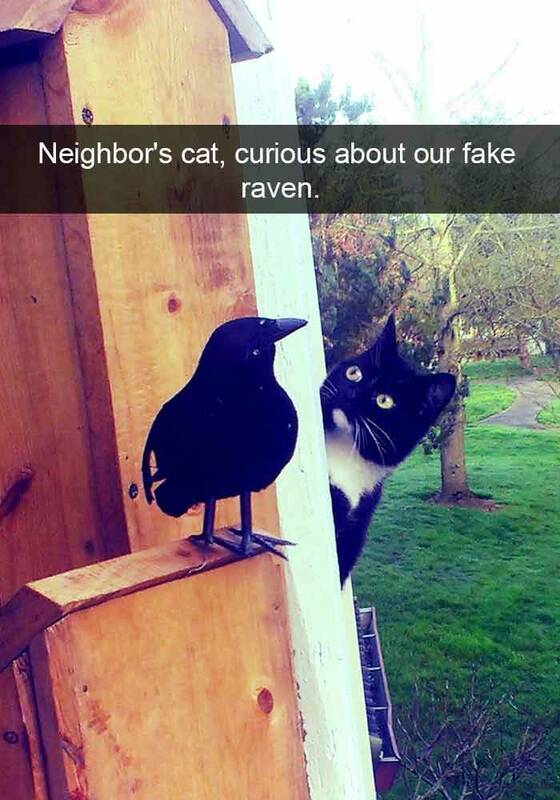 They have funny facial expressions, they make funny sounds, they get into hysterical amounts of mischief, and they are constantly giving you reasons to laugh. 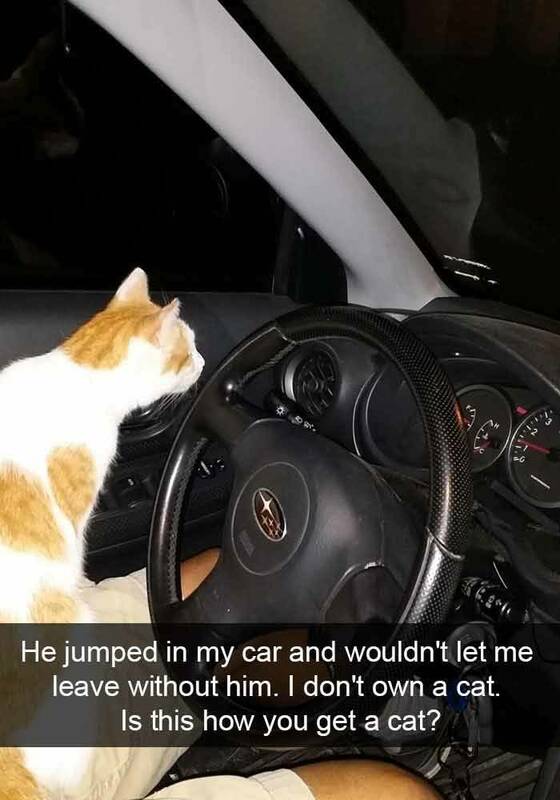 The Internet has definitely spent the last decade or so embracing all the humor cats have to offer but the last few years a new app emerged called Snapchat. 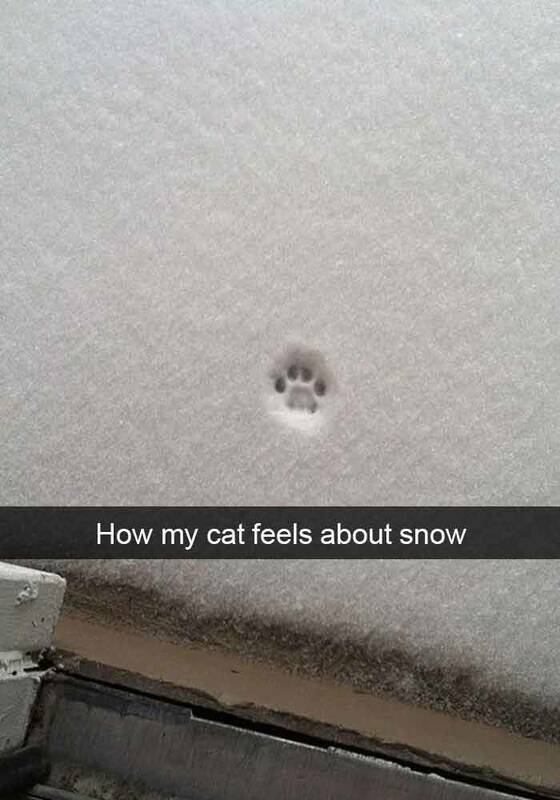 The photo-friendly app has taken millions of users in and made them obsessed and every single user who has a cat is definitely getting some stellar snaps of their cats. 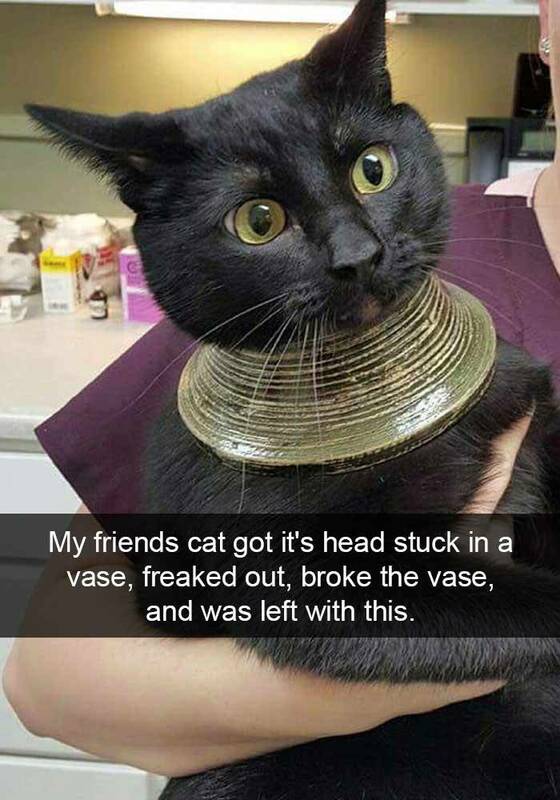 The rest of us are lucky that this technology exists because getting to share in the joy and humor that cats everywhere have to offer us, well that's just plain priceless! 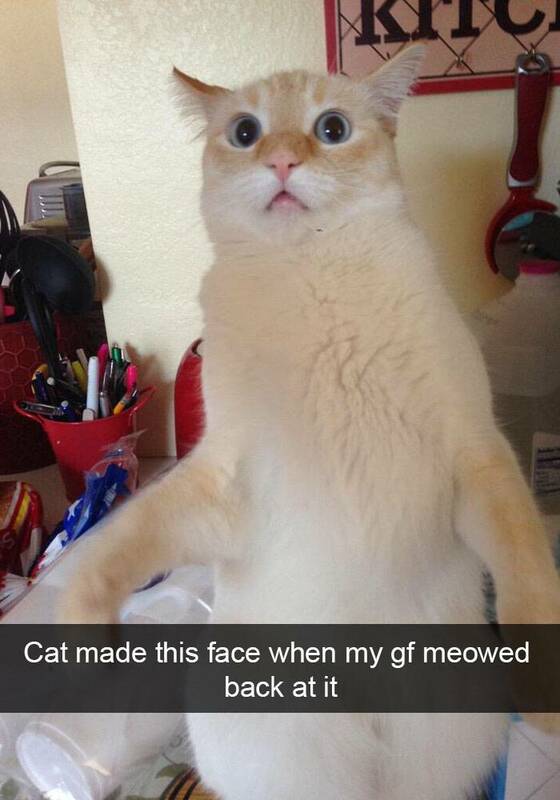 Prepare to laugh hysterically... because few things in life are as funny as the cats of Snapchat! 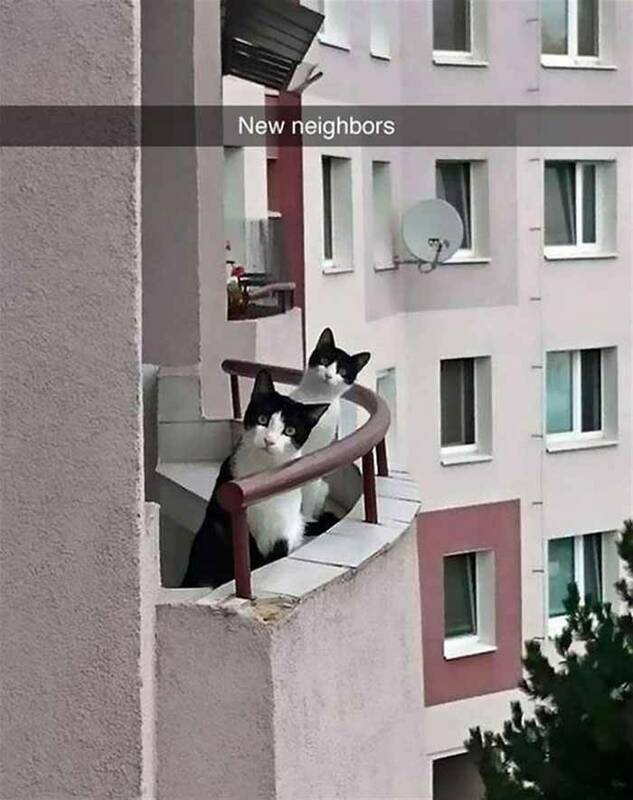 I'd take these two kitties over all the neighbors I've ever had combined. 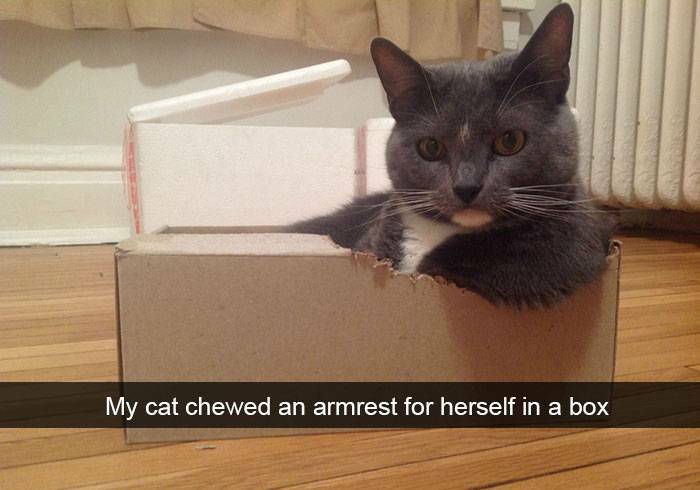 "I don't always imitate memes, but when I do it's purr-fect." If he can't make eye contact with you then he doesn't have to. 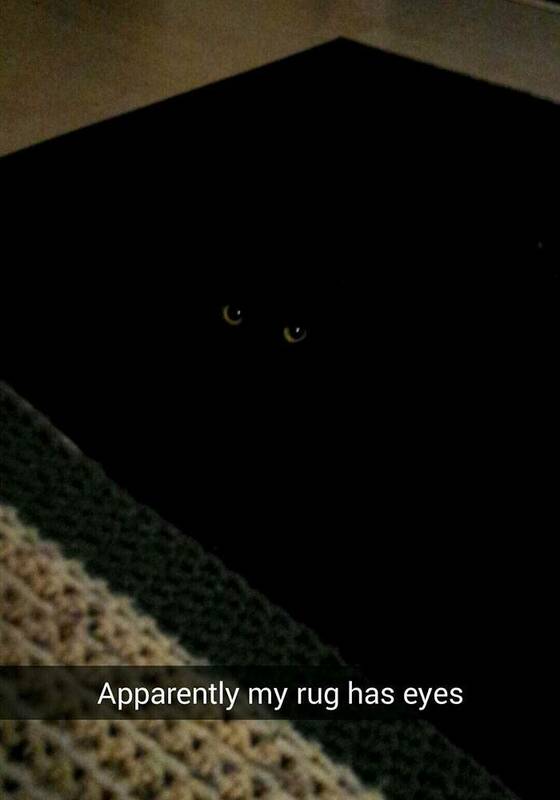 Have you ever wondered how cats are masters of disappearing? 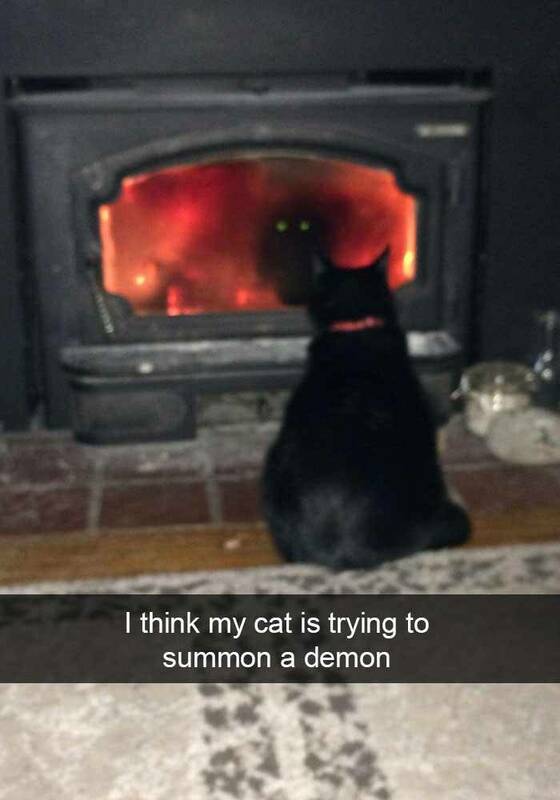 It's not magic, it's fur. "Today is a good day to lay inside." 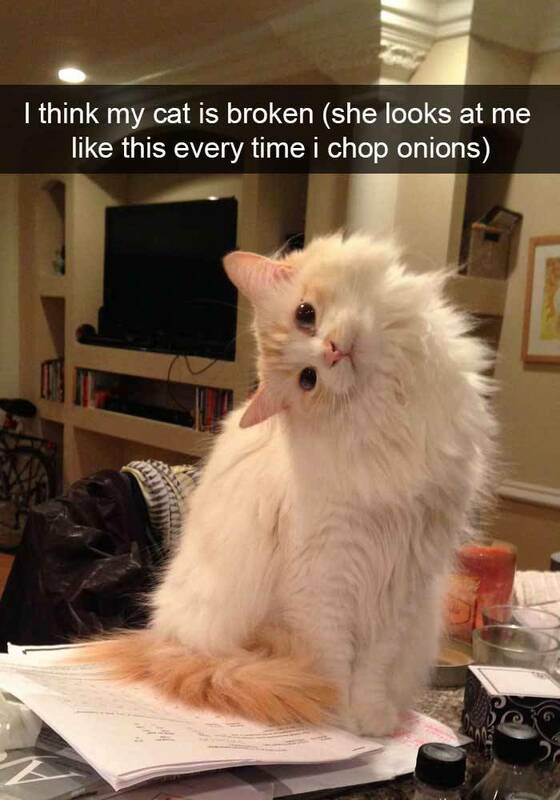 This is, at least, an adorable turn in their day. 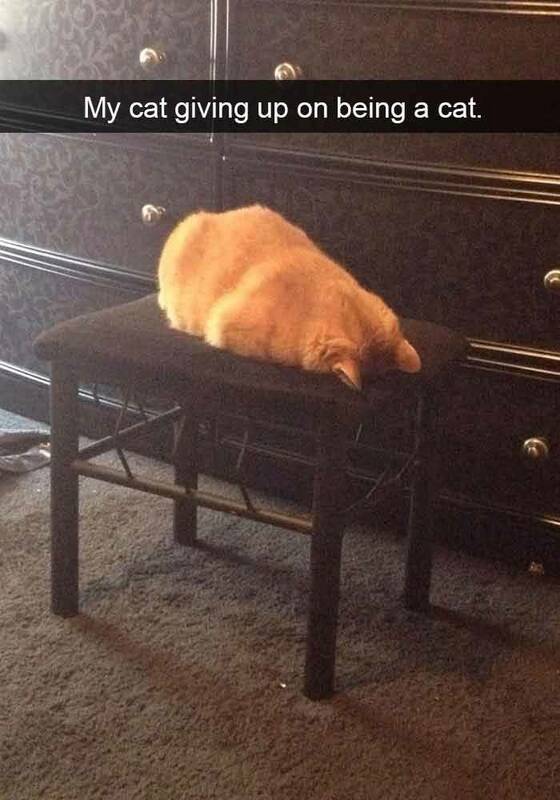 I don't blame you kitty, I get these feelings often, too. 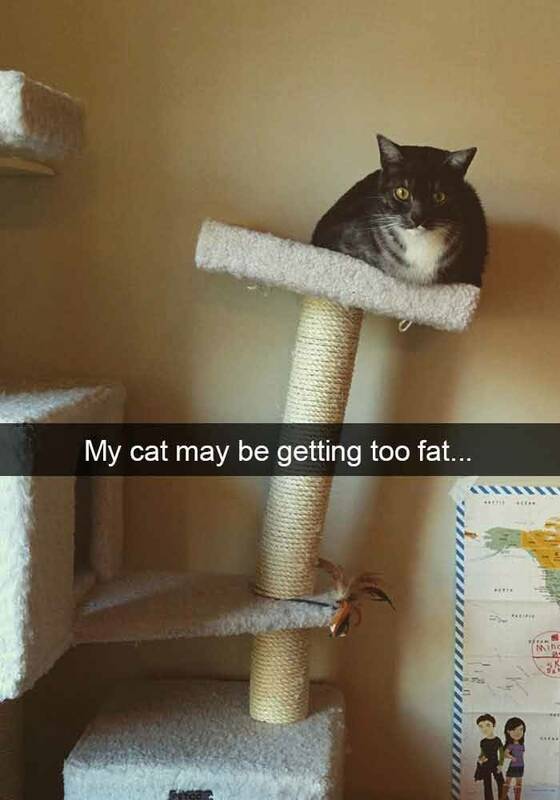 Nah, fat is in when it comes to cats. 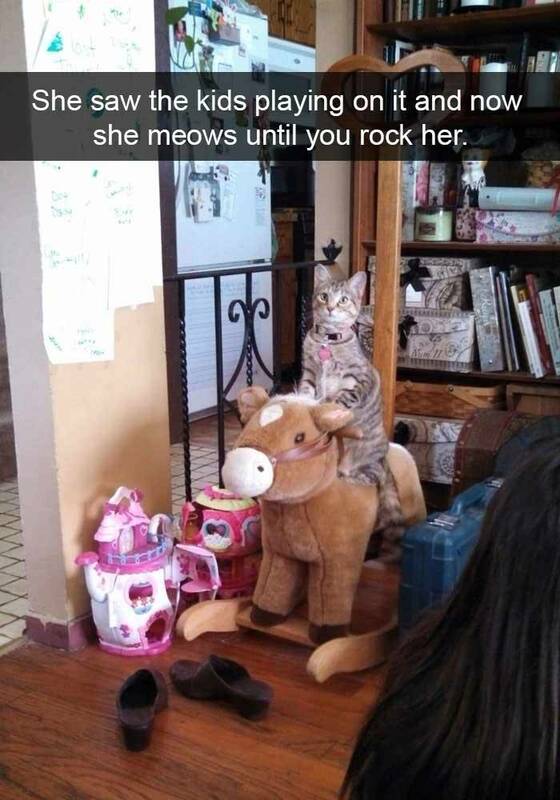 You don't, cat gets you. 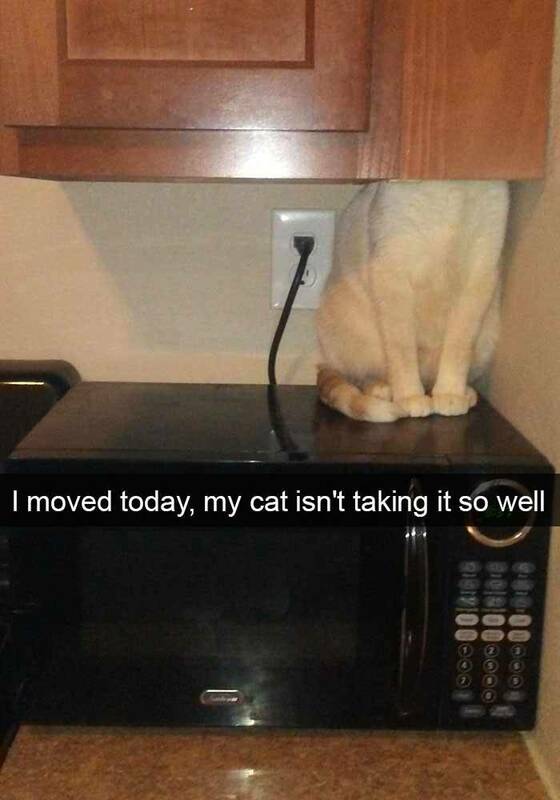 I don't blame her, she's a smart kitty. 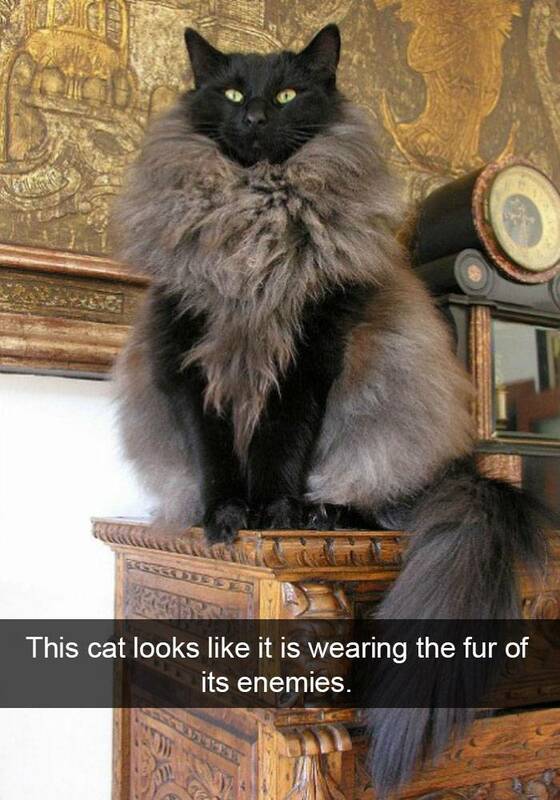 But this cat appears to have some owl DNA! 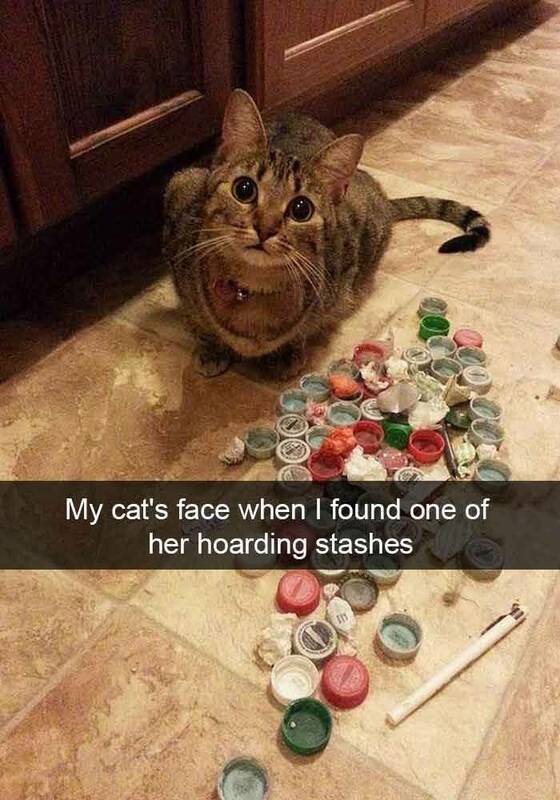 She's probably not too stoked you removed her trinkets from their hiding spot. 16. So close... So far. 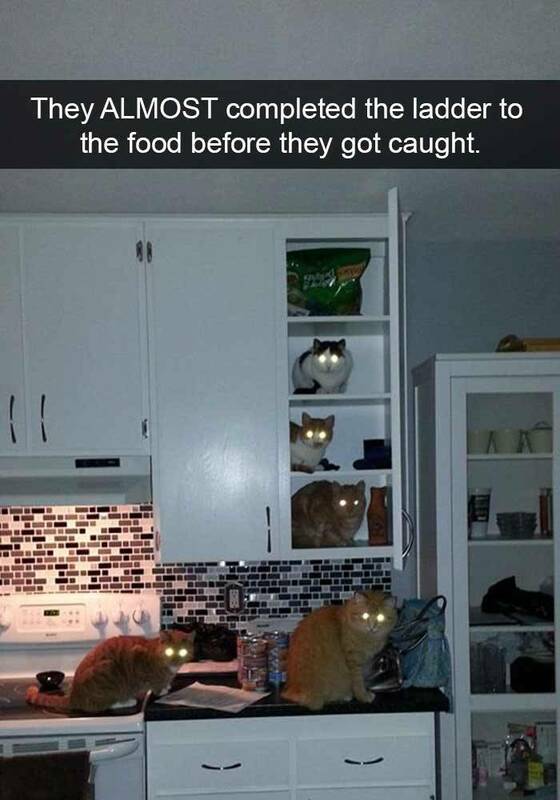 Just one more cat and they'd have the food. Dang.